A really like the aesthetic of low poly renders, but I struggle to replicate it as I never know when to stop. 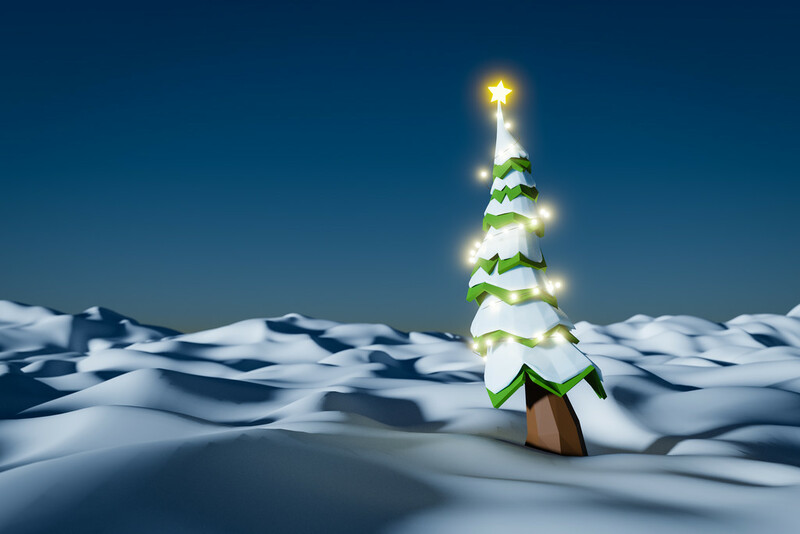 Here's my stab at a low poly Christmas tree. It's not quite how I wanted it to be, but I need to stop now before it drives me nuts. I really like this... there is something quite beguiling about it! I think it's fabulous!Are you saying you've made this with software? It's free to download, but does have a bit of a learning curve. 3D is so hard to use -- very cool result. Magic. I've missed your creativity!